St Mary's was built in 1867 beside Westcott village green. It was designed by the famous Victorian architect G.E. Street, who later designed the Law Courts in the Strand. 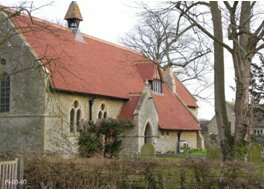 The present church, along with the primary school next door, were given to Westcott by the last Duke of Buckingham and Chandos.